How much fun would these be at your winter wedding? 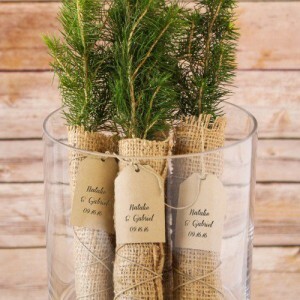 First, you’re giving each guest a tree (saving the environment one wedding at a time) and they’re a great seasonal gift! These evergreen tree seedlings can be personalized (thanks to a fun hangtag). 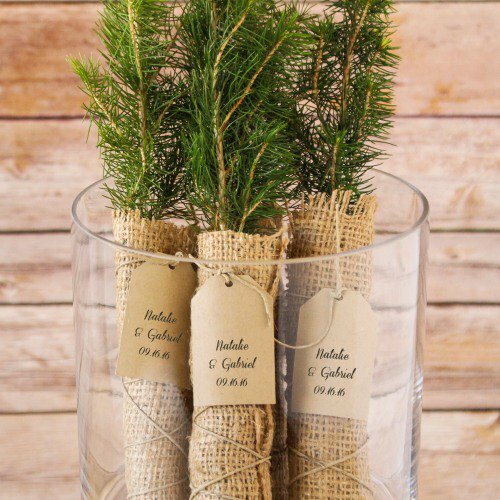 Each seedling is presented in a burlap wrap, which would be ideal for your winter or rustic wedding. You’ll find these personalized tree seedlings here.